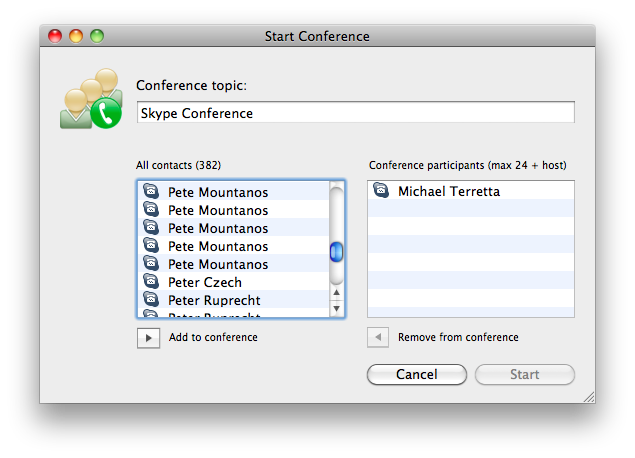 It's a great to be able to start a SkypeOut conference by just adding the participants. Just be sure nobody you're calling has more than one phone number. And no, there's no tool tip or mouse-over telling you the number, and dragging the window wider doesn't reveal a number column. The app knows it's a phone number as shown by the icon, so putting the actual number in parentheses after the name would be a quick fix.